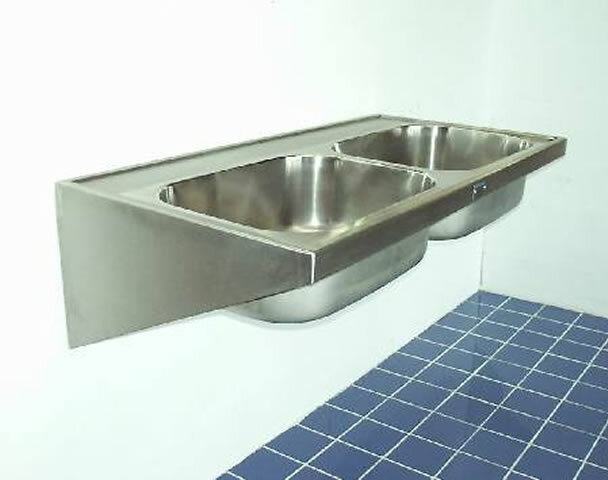 Hospital sinks are manufactured from 304 grade stainless steel and feature integral wall fixing brackets, an unslotted 38mm waste fitting (without overflow, plug, or chain) and no tap holes, the units without drainers have a pressed bowl 535x385x170mm, the units with drainers have a fabricated bowl 500x400x200mm. 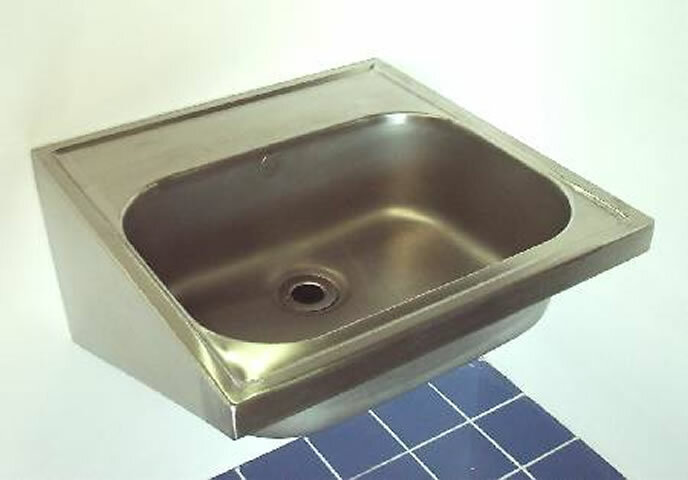 Optional extras are front support legs, if required hospital sinks can be manufactured with tap holes and an overflow or plug chain and stay, double bowl and double drainer units are also available as are special sizes and configurations. Delivery lead time is usually about 10 to 15 working days from order, with free packing and carriage to the UK Mainland on orders over £250 + vat.